Wuneekesuq (Good Day!) Nutus8ees Chenoa Peters (My name is Chenoa Peters). I am 16 years old and the daughter of Randy Peters, III and Kristine Foster, and a sibling to Amiyah and Keturah Peters. I am the granddaughter of Nadine Costa and Randy Peters, Jr., Joanne Frye and Charles Foster, Jr., and the great granddaughter of Natalie Costa and Aneba Costa, Randolph G. Peters, Sr. and Charlotte Johnson, Marjorie Hendricks and Milton Frye. I am a proud and extremely active member of the Mashpee Wampanoag Tribe. I am a humble dancer. I have danced “Fancy Shawl,” “Jingle”, and I currently dance “Eastern Women’s Traditional” style. I am honored to say I was the first “Little Miss Wampanoag,” in 2009. I am a member of the Mashpee Wampanoag Tribal Youth Council and currently serve as the Female Representative. I have proudly held that elected position for the past 2 years. As Female Representative and as a member of the Youth Council, I have been able to travel to United National Indian Tribal Youth organization (UNITY) for the past 3 years. UNITY has helped me to meet native youth across the country. Being part of this national youth organization has also helped me with my leadership and my public speaking skills. I am currently a junior at Cape Cod Tech. I am proud to be a Honor Roll student and athlete. I am a member of the soccer, basketball and lacrosse teams. In school, I major in Health Tech. This year I will become a Certified Nurse’s Assistant (CNA). After graduation from high school, I plan to pursue my goal to continue onto college and become a pediatrician in order to fulfill my ultimate goal to come back and help the future youth of our tribe. I love being able to work with children. This summer I worked as a camp counselor at the Town of Mashpee Recreation Summer Camp. I am honored to serve as the 2017 Mashpee Wampanoag Powwow Princess. 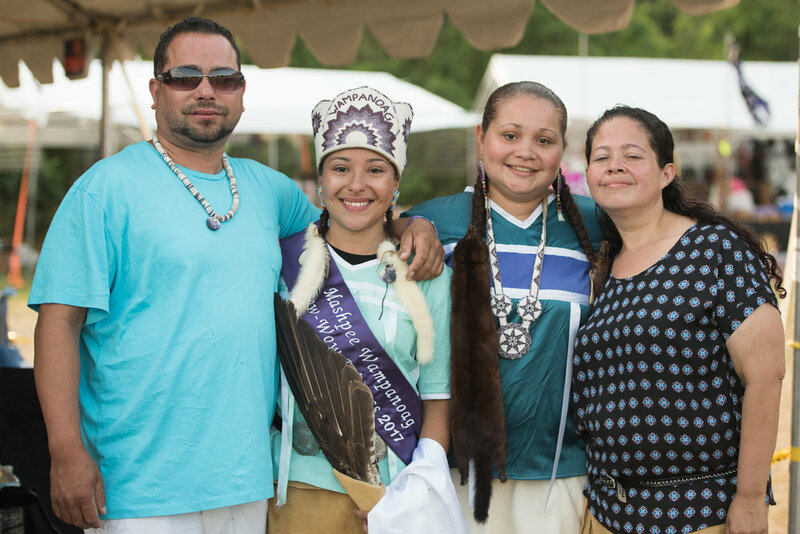 As Mashpee Wampanoag Powwow Princess, I hope to accomplish the goal of traveling around the country to different powwows to represent our tribe and let people know we are still here standing strong. I also hope to accomplish the goal of bringing our People together, especially our youth and elders. It is important that our youth learn about our strong history, culture and the examples our ancestors left for us to follow.